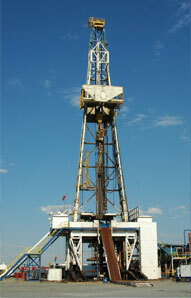 Runyon Oil Tools, Inc. is an oilfield service company based out of Olney, IL servicing the IL Basin and beyond. Runyon Oil Tools, INC currently services contracts with major oil companies in the area as well as independents in Illinois, Indiana, Kentucky and Missouri. We offer dependable, honest, and reliable service and equipment. Our vast inventory of quality rental tools are competitively priced to fit your oil field needs and your budget. We have a longstanding reputation for excellent service and would be honored to have the opportunity to work with your company. For any products or services you don't see on our website, please contact us either by phone or email. We are committed to getting you what you need to get your job done. Copyright © 2013 Runyon Oil Tools Inc.. All Rights Reserved.